Unquestionably the popular instant messaging application WhatsApp is one of the best services for users to exchange messages worldwide. But, recently WhatsApp goes down and social media erupts as millions of users left ‘in turmoil’. The world’s most used instant messaging application, of course, I am talking about WhatsApp is one of the most popular platforms for exchanging messages, calls and other communications. As it is already present on millions of Android and iOS devices and even on the computer, via the Web and also via the app as well. During the last weeks, this well-known service of the social network giant Facebook, of course, I am talking about the well-known instant messaging application, WhatsApp has received several news that arrives in the form of updates and most of them strengthen the features that are already available to users and add new ones. However, the new update restricts sending messages to a maximum of 5 contacts. But, apart from all these things we’ve also seen the world’s most used instant messaging application, of course, WhatsApp allows you to implement one of the tricks of the Gboard keyboard. Yes, this was the first keyboard to take advantage of the new door opened by the well-known instant-messaging service, of course, WhatsApp. 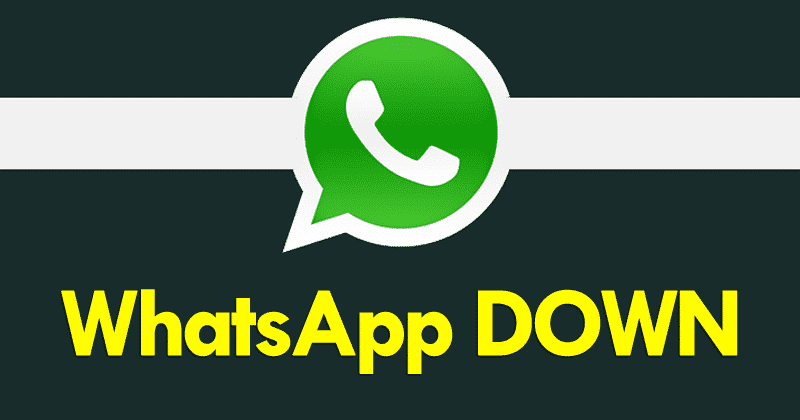 Now, according to the information provided by the well-known platform DownDetector through its account in the well-known social network Twitter, the service was down. As a result, millions of Android and iOS users lose access to WhatsApp. As we can see from the publication, the WhatsApp service was off. Something that has caused frustrations to its millions of users all over the world. Service failures began around 1.21 PM, according to the well-known platform, of course, Down Detector. As it provides real-time monitoring of failures and breakouts in various services such as WhatsApp. However, at moment the service, of course, I am talking about none other than the well-known instant messaging application, WhatsApp which is already restored and now users can simply re-use the platform through their app for Android and iOS mobile devices. But, unfortunately right now we don’t know the exact causes of this failure. So, what do you think about this? Simply share all your views and thoughts in the comment section below.